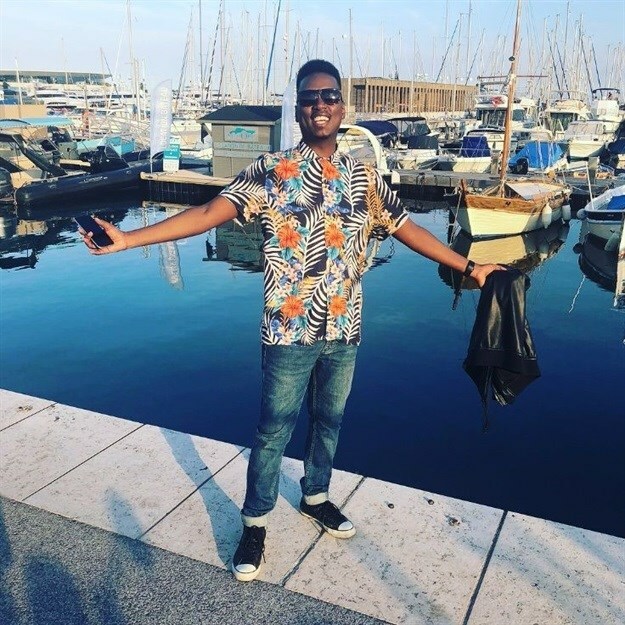 Having dusted off the Cannes Lions International Festival of Creativity cobwebs, VM DSGN's designer and creative director Vumile Mavumengwana talks us through his experience on this year's design awarding jury and what it's really like being a South African in Cannes. Mavumengwana, living the life in Cannes. Image supplied by Mavumengwana. It was a delightful surprise, waking to a call around 7am in my PJs. At first, I was confused, but it quickly crystallised that I was being invited to judge at Cannes! In nano split-seconds, I agreed to the whole situation. What a way to start the day! He was looking forward to seeing the wide range of high-calibre international work, meeting his fellow jurors, sharing and learning from multicultural backgrounds and perspectives and of course, the great summer weather by the beach, with a bit of rosé for the win. #CannesLions2018: All the SA winners! Ogilvy Johannesburg’s #FCKHIV for Viacom MTV ticked these boxes well enough to walk away with a Bronze Design Lion this year. Share a few of your favourite Cannes Lions-related moments over the years – either from attending personally or agency winning work-related. My first time travelling to Cannes in 2012 was a surreal experience, until then it was a place I’d only heard of and imagined at a distance. Being right there and hearing directly from the legends you always read about was quite something! That year it was Sir John Hegarty, David Droga, Annie Leibovitz, Dan Wieden and special guest Kanye West. Seeing the work was also awe-inspiring. It literally broadened my creative perspective and inspired me further in my career. What's it like, being a South African in Cannes? It was great to briefly escape the South African wintery chills for a sunny sho’t left to the South of France – filtered with crystal blue skies, soft white beach sand and technicoloured swimming shorts and bikinis by the sea. Although we didn’t get a lot of time for this kind of fun, being secluded in the jury room for five full days, it was rewarding and fulfilling in itself. The design jury team sparked with great chemistry and camaraderie. We learned, laughed and shared a lot of perspectives together. Coming from different countries and backgrounds, it was interesting to hear how we all see creativity, design and the purpose of it within marketing and the world at large. As a lot of Cannes attendees have already attested, the rosé does seem to be running bottomless there wherever we went, and it did help cool things down and quench the long days’ work, so it was always welcome. Language was a barrier in most instances if you didn’t wax lyrical in French here and there, that’s why you’d always find the South Africans hanging together, very much in high spirits! 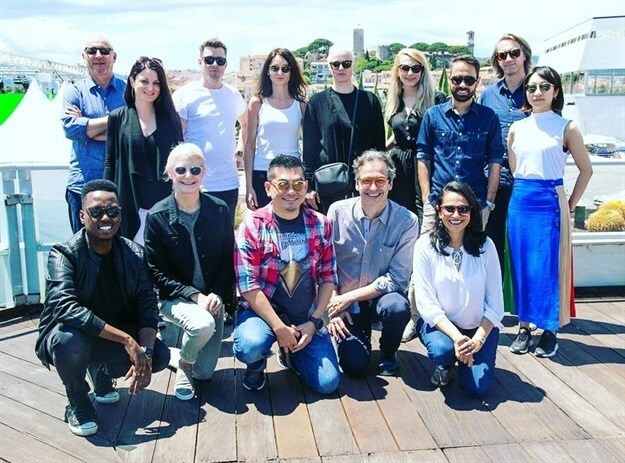 The Cannes Lions Design Lions jury 2018. Image supplied by Mavumengwana. Having people of your kind in a foreign country always feels like a home away from home. Cannes was a great and inspirational experience overall, creatively and personally. I felt honoured and privileged by the opportunity to judge at this level. A huge thanks to the Creative Circle, Cinemark Ster-Kinekor and Cannes Lions for opening up the game for more diversity. I hope more local creatives will also get the opportunity to expand their creative perspectives and careers through this grand platform. Definitely. What do SA creatives bring to the global judging mix? Much like the other judges from different countries and continents, we bring a multi-cultural perspective and lens to the work. We bring our different cultural backgrounds, which leads us to work that connects us at a human level and experience, work that resonates universally. Describe the judging process at Cannes and how it differs to other award shows. The Cannes Lions judging process consists of three rounds, involving viewing, voting, discussion and then awarding of Lions. In the first round, judges consider and score each entry on a scale of one to nine, based on whether they consider it a shortlist candidate. The second round is a review, where judges will consider whether entries on the shortlist are worthy of being shortlisted only, a possible winner or a definite winner. Typically, about 10% of entries will make it to this stage. In the final round, guided by the jury president, the judges review and debate entries before voting on whether they consider each a Gold, Silver or Bronze Lion winner, or as shortlist only. It takes a two-thirds majority vote to claim a Lion, and only about 3% of entries will do so. After voting, results are read out and juries confirm the decisions. Candidates for Grand Prix, selected from among Gold Lion winners, are also identified and further discussion follows before a last vote to determine the Grand Prix winner. Entries for public awareness, non-profit organisations and charities aren’t eligible in their category, but are then considered for the Cannes Lions Grand Prix for Good and the Lions Health and United Nations Foundation Grand Prix for Good. #CannesLions2018: Good, Film and Impact Lions winners! Wow. Quite the process. What was your favourite work this year, and why? The Intel Drone Light Show at the Winter Olympics, especially in terms of how it used technology and creativity in an innovative and awe-inspiring way. It felt like a step change in the world of tech, creativity, entertainment and branding. Trash Isles’ by Plastic Oceans, a big awareness idea on the global threat plastic waste is posing to our planet and oceans in particular. The idea of listing an island as big as France entirely made of plastic trash to dramatise the reality of how much plastic is floating at sea. Double A’s 'Obsession for Smoothness', featuring OK Go music video highlighting Double A’s paper smoothness through an innovative and mesmerising first of its kind paper animation. Lacoste’s 'Save Our Species', using their crocodile brand icon to feature animals in danger of extinction – a very simple and iconic creative approach for awareness of threatened species. Those really do make an impact. Share a few of the global marketing, advertising and creative trends that stood out most strongly on the international award track. Seems we’re in for a real creative smorgasbord as we head into the final half of the year. Cinemark was once again the local representatives of Cannes Lions for SA. 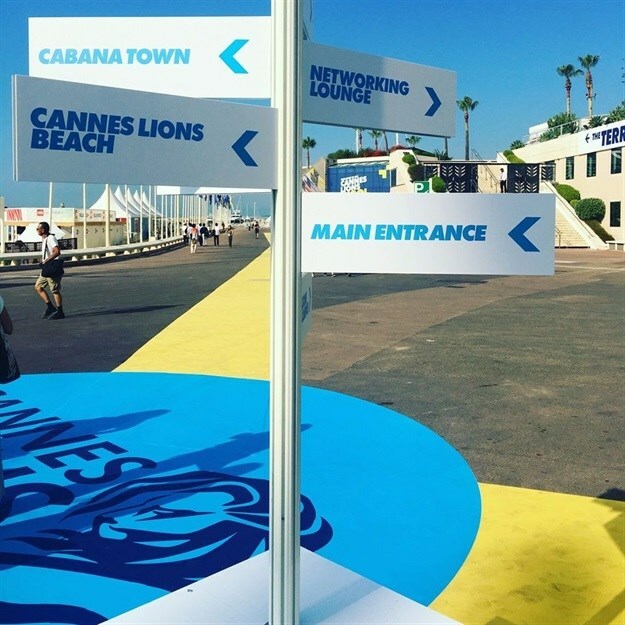 Click through to our Cannes Lions special section for all the latest updates, check in on our Loeries Creative Week special section and be sure to follow Mavumengwana on Twitter and Instagram for his latest updates.